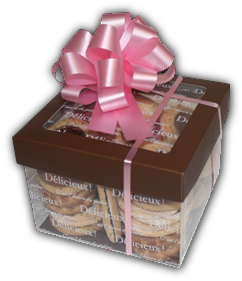 Brown Clear Box No.120: Clear transparent box and lid with “Delicieux” printed white. 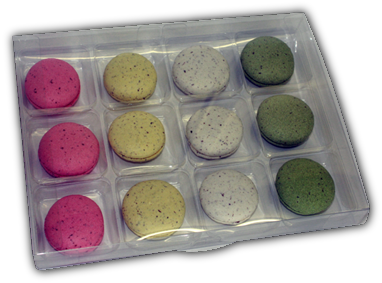 Silver Macaron Box No.5: Silver base with silver sleeve contain clear round transparent windows. Black Macaron Box No.6: Black base with black insert and clear transparent sleeve. 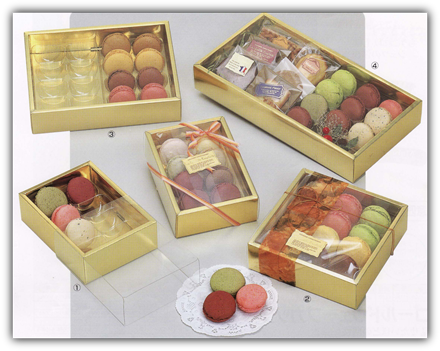 Ivory Macaron Box No.6: Ivory base with ivory insert and clear transparent sleeve. 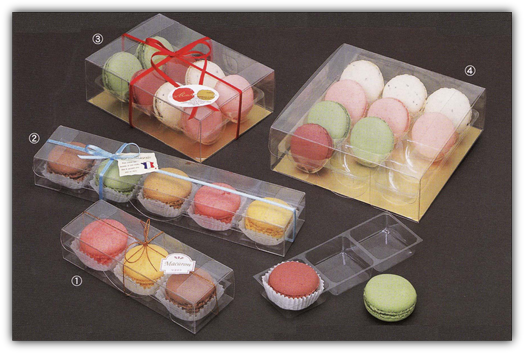 Clear Macaron Box No.12: Clear transparent box, tray, and clear sheet.